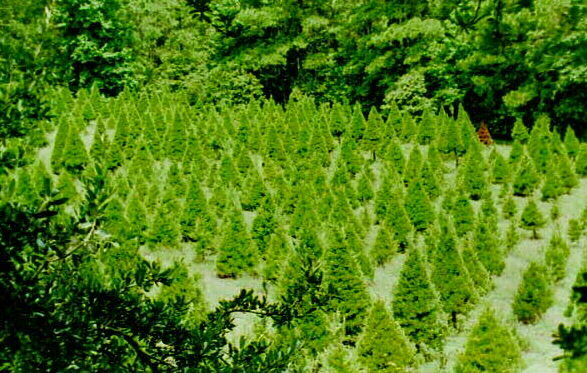 Mill Hollow is nestled in the hills and valleys of the hills just east of Oakhurst, Texas. Miles of walking trails meander through the hills and valleys and allow a family to explore and find many interesting and scenic areas. This is a place where memories are made. This pictorial tour is to show you some of the areas your family may enjoy. 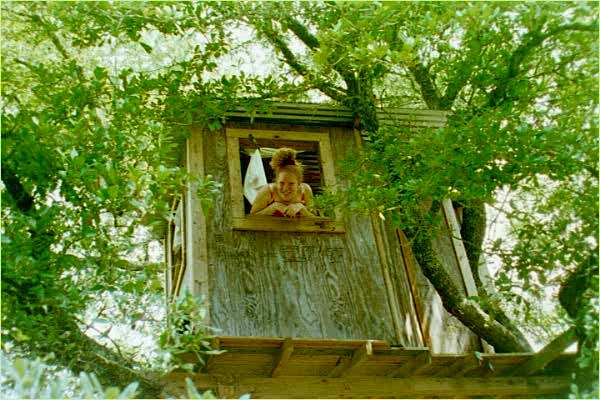 The first stop for many is the real tree house located in an old pin oak tree . This tree house is surrounded by one of the Christmas tree fields. See if you can find that red tree! Since this tour can take time, you will be given the option of continuing or going back to the home page.